Pre-Order The LEGO Movie DVD + UltraViolet Combo Pack Just $14.96 (reg. $28.98)! Price Guarantee! 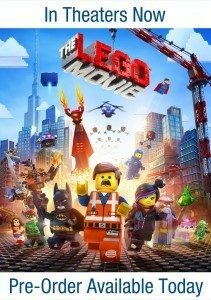 You are here: Home / Great Deals / Amazon Deals / Pre-Order The LEGO Movie DVD + UltraViolet Combo Pack Just $14.96 (reg. $28.98)! Price Guarantee! Have you seen the new LEGO movie? It’s still in theaters, but you can pre-order it on Amazon today! Get The LEGO Movie (DVD + UltraViolet Combo Pack) for only $14.96 (reg. $28.98). And, if the price drops between now and the time it is shipped, you will pay the lower price with their Price Guarantee. Super Saver Shipping will be FREE with an order of $35 or more or get FREE 2-day shipping with Amazon Prime.